Dry = Warm = More Productive! Stonework is HARD…help your crew by making it easier. 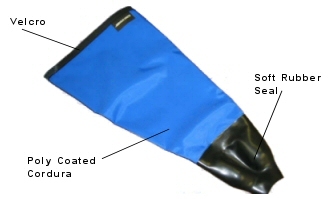 using the highest quality Cordura materials and built to military dive suit specifications. The Pacific NorthWest is home to some of the worlds leading dry-suit technology, and companies who happen to develop and build drysuits for the US Military. We’ve worked with these companies using the same materials, processes, and standards to produce our exclusive line of stoneworking sleeves, aprons, and jackets! Any fabricator who has ever wet polished when it's cold will instantly realize the value of our STONE SLEEVE™ fabricator sleeves. 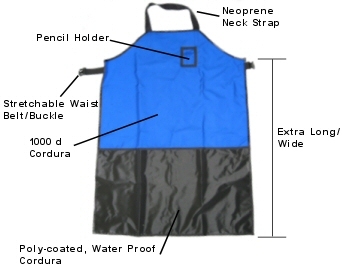 Professionals use only the finest products available, and the BULLET PROOF™ fabricator apron is without a doubt the finest apron available today. 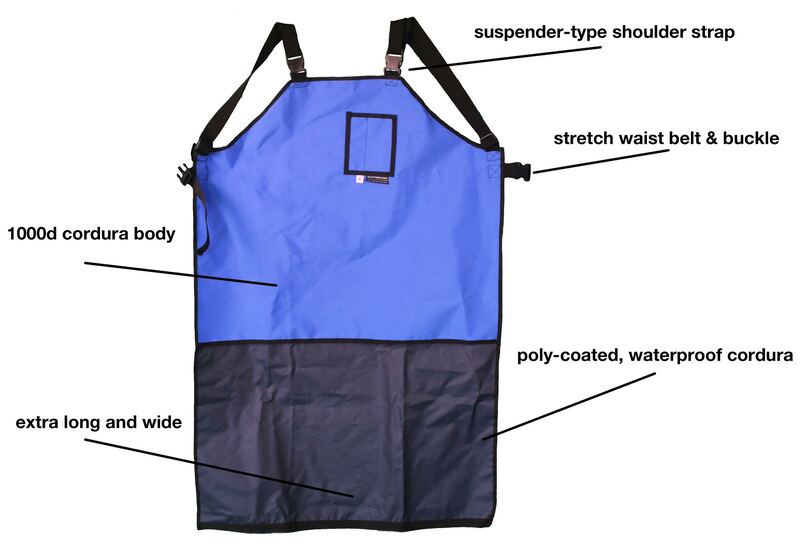 The Deluxe Bullet Proof Apron has two distinct improvements over our original aprons: Suspender type should straps that puts the weight of the apron on the shoulders instead of the neck and a waterproof smartphone holder. 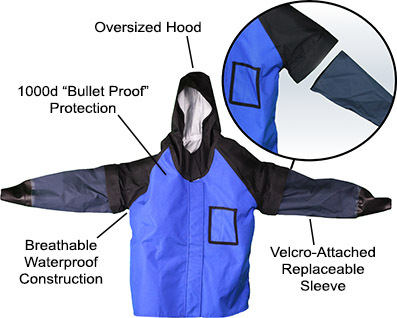 Custom designed for stone fabricators, this jacket has it all: breathable waterproof construction, replaceable sleeves, oversized hood, and the "Bullet Proof" durability you've come to expect with Fabricator's Friend gear. 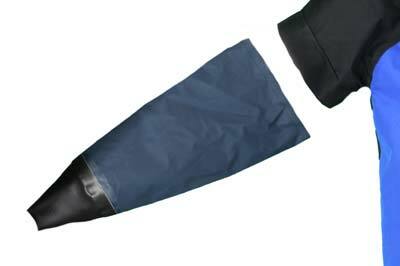 The replacement sleeves are specifically designed to integrate with the Fab Jacket and are easily re-attached with velcro. They come in M, L, and XL to match your jacket.